We have seen many photos of Saturn showing strange craft-like objects in his rings. 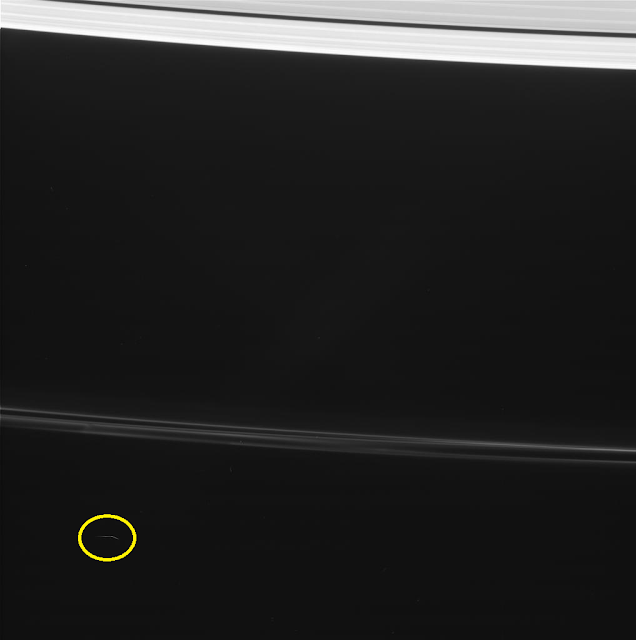 Here is another one which clearly shows a V-SHAPED object next to the rings. Watch the video and check it out.